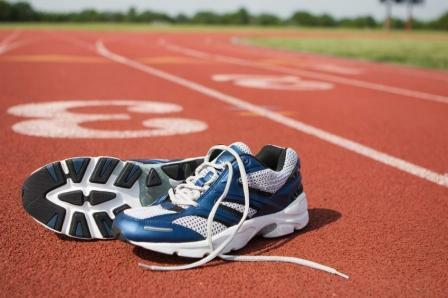 Track & Field | South County Sports Club, Inc. The Virginia Broncos Track Club is a diverse track and field club servicing southern Fairfax County, Virginia, and surrounding areas. The team is based in Lorton, Virginia, South County High School. Our mission is to teach rising young athletes fundamental techniques of track and field, help develop running strength, balance, agility, and endurance, and to improve individual performance through comprehensive training and instruction. Our goal is to prepare interested young Olympians for national competition and allow them to experience the rewards and excitement of track & field. The Virginia Broncos are members of USA Track & Field and Amateur Athletic Union, and compete in local, regional, and national meets. The skill level of the team ranges from beginners to highly competitive athletes who have won National championships and set National records. The Virginia Broncos Track Club season runs from mid-March through the beginnine of June (for national-level competitors). Practices are held throughout the season from approximately 6:30 to 7:30 pm on Mondays and Thursdays at South County High School in Lorton, Virginia. Meets are typically held on Saturdays from mid-April through the end of May in various locations through Southern Maryland and Northern Virginia. Local qualifiers begin in June for the USATF Junior Olympics. Athletes who qualify at the local level, then compete at the association qualifying meets. Top finishers at the association meeting will then advance to the USATF Junior Olympics in late July. If an athlete chooses not to participate in qualifying meets, their season will end after the last meet in May. For those who do participate in qualifying meets, their season will continue until they no longer qualify for the following meet.